British Army. 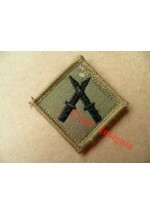 Class 1 soldier [junior Brecon] qualification patch, colour. For FAD [no2 dress]. A..
1201mtp Class 1 Soldier qualification badge. MTP. 1202c PSBC [Senior Brecon] qualification badge. Colour. British Army. 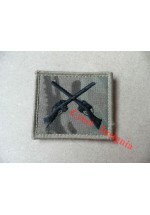 PSBC [platoon sergeants battle course, or senior Brecon] qualification badge. Colour,..
British Army. PSBC [plt. sgt's. battle course, or senior Brecon] qualification badge. MTP Velcro ba..
1203c Infantry Signaller qualification badge. Colour. British Army. Infantry Signallers qualification badge. Colour. For FAD / No2 dress. 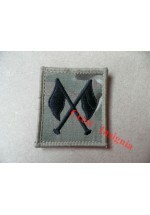 Also availabl..
1203mtp Infantry Signaller qualification badge. MTP. British Army. Infantry Signallers qualification patch. MTP Velcro backed. 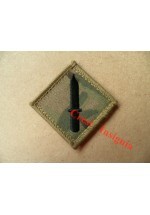 Also availabe in colou..
1204c Skill at Arms / Marksman qualification badge. Colour. British Army. Skill at Arms / Marksman qualification badge. Colour, for FAD/No2 dress. Also avail..
British Army. Skill at Arms /Marksman qualification badge. MTP. Velcro backed. Also available in..
British Army. Sniper qualification badge. Colour. Also available in MTP [code 1205mtp]. ..
British Army. 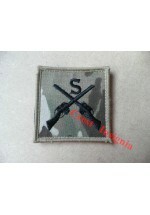 Sniper qualification patch. MTP. Velcro backed. Also available in colour [code 120..
1206c Assault Pioneer qualification patch. Colour. British Army. Assault pioner qualification badge. Colour, for FAD/No2 dress. MTP version [code 12..
British Army. Assault ppioneer qualification badge. MTP Velcro backed. Colour version [code 1206..
1207c Combat Medical Tech. qualification badge. Colour. British Army. 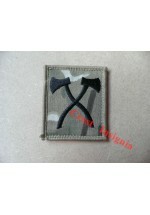 Combat medical technician qualification badge. Colour. MTP version [code 1207mtp] a..
1207mtp Combat medical Tech. qualification badge. MTP. British Army. 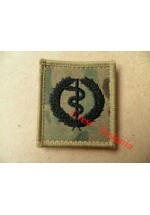 Combat medical technicians qualification badge. MTP Velcro backed. Colour version ..
1208c EOD /ATO [bomb disposal] qualification badge. Colour. British Army. EOD /ATO [bomb disposal] qualification badge. Colour. MTP version [code 1208mtp] al..
British Army. EOD / ATO [bomb disposal] qualification badge. MTP. Velcro backed. ..
1209c Royal Artillery, Gun badge. Colour. Royal Artillery senior NCO's gunner qualification badge. Colour. Subdued version [code 1209s] als..
1210c Rarden Cannon 'GUN' qualification badge. Colour. British Army. Rarden Cannon 'Gun' qualification badge. Colour. Subdued version [code 1210s] also ..
1211c PTI [physical training instructor] qualification badge. Colour. British Army. Physical training Instructors qualification badge. 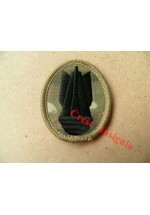 Subdued version [codw 1211s] als..
1212c REME Craftsman qualification badge. Colour. REME [royal electrical & mechanical engineers] Craftsman qualification badge. Colour. Subdued..